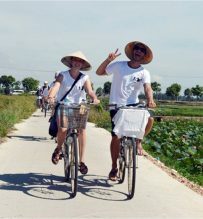 Half day tour to discover the hidden charm of Hue ancient capital, hop on a bike for cycling trip around the suburb of Hue city. You will embark to the rural to admire and enjoy interesting scenes and local life. 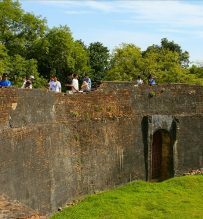 This tour gives you more the tranquil, peaceful, beautiful sightseeing in different villages surrounding Hue including green paddy fields, rivers, hill, handicraft villages, and old architecture, which Hue people keep in original appearance. 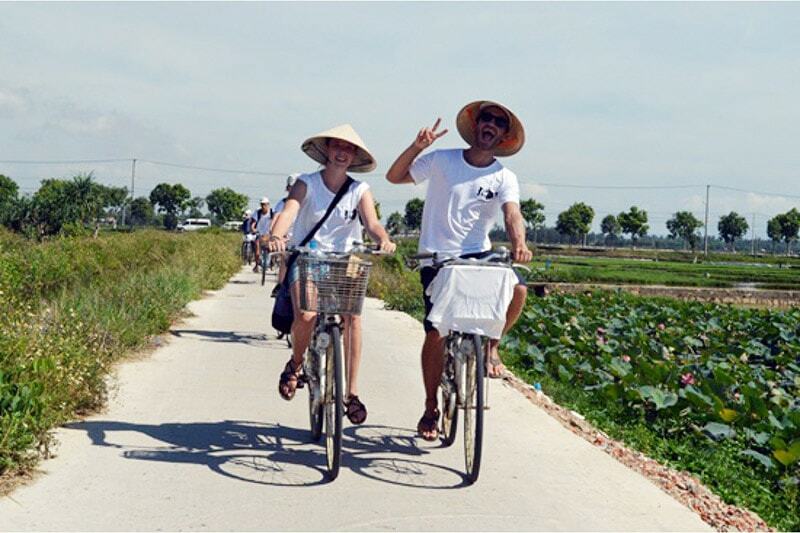 Cycling trip around the countryside of Hue, embark to the rural to admire interesting local life style. Enjoy the tranquil, peaceful, beautiful sightseeing with green paddy fields, rivers, hill, handicraft villages, and old architecture. 7.30 Meet our guide at your hotel, be ready for exciting morning and start biking the route to visit Vong Canh hill (7km). 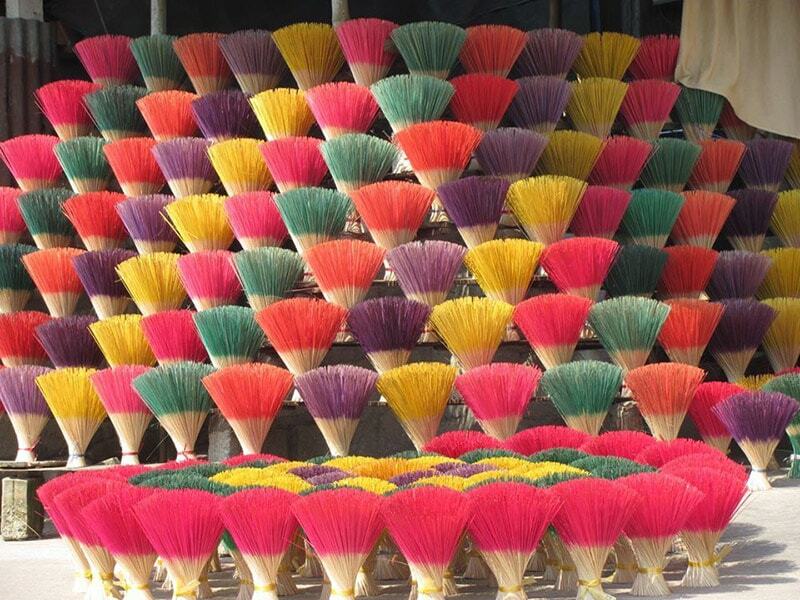 Stop to visit Nam Giao, the Alter of Heaven to learn more of Hue culture in worship. 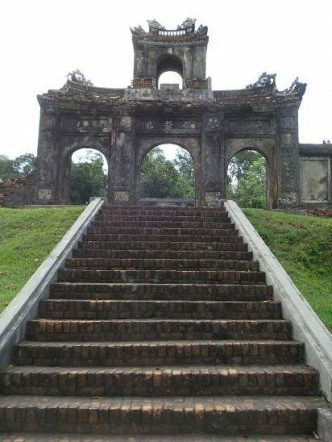 Going to Vong Canh hill (meaning a Viewpoint hill, used to be the place for the Kings to admire the scenery), you enjoy the best view to picturesque of Perfume River and Pine Trees. 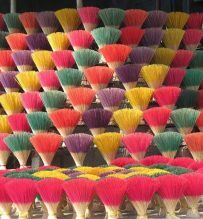 Cycling back and continue visiting an incense-making village and hat-making village. On the way to return Hue city center you will wind about 3km road for more different villages. 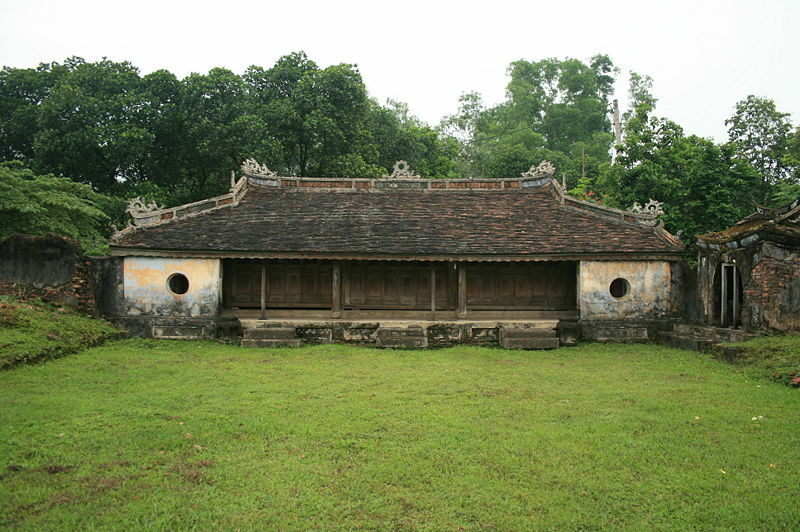 Going on to visit Voi Re temple (Điện Voi Ré), a royal temple where the kings’ war elephants were buried and worshiped. 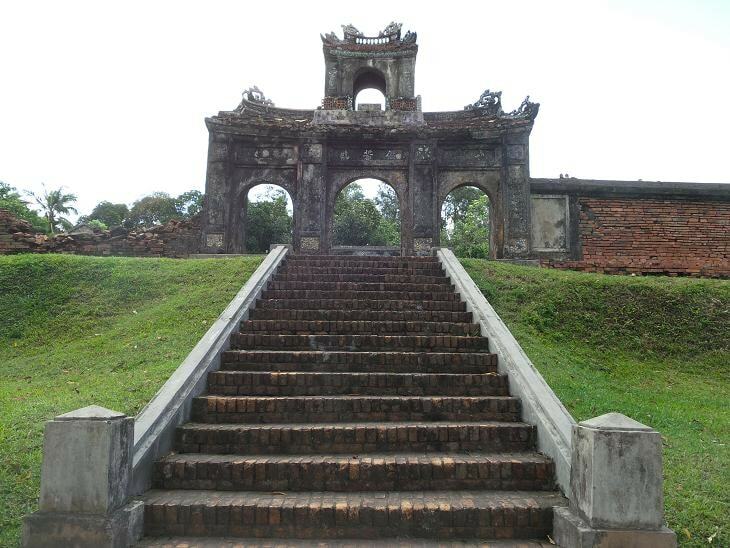 Visit Tiger Fighting Arena relic nearby (Ho Quyen) where elephants and tigers dueled to the death. 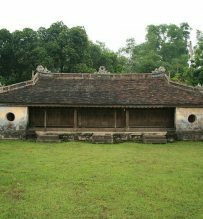 Under the Nguyen dynasty, this is the arena of elephants and tigers to sacrifice in festival and served as of recreation for the Kings, the officials and residents. 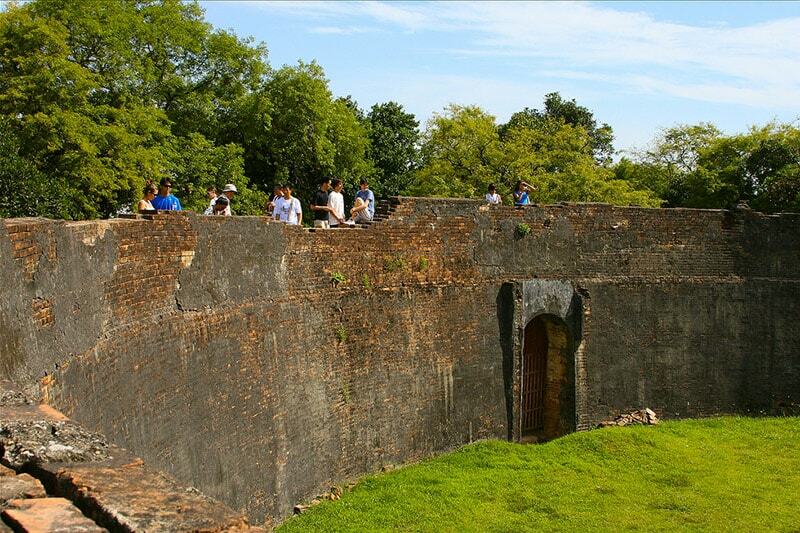 Here is the chance for you both explore hidden charm of Hue countryside as well as learn more of Nguyen regime. The last site on your cycling day is bronze-casting villages in Duc Ward. On the way back to hotel, you can see more the hidden sites of Hue city. End of half day cycling tour at noon. Notes: Roads condition is smooth, some roads are up and down hill, distance of biking is about 15km. What to bring: Prepare sport shoes, sport clothes for cycling, gloves, sun block, sun-glass, camera.